A new material designed to emulate many of the qualities of a butterfly’s wing has been developed by researchers at the University of Pennsylvania in Philadelphia. Created primarily through the use of lasers, the ‘wafer’ can mimic the iridescent colors of butterfly’s wings, and is also water-proof. The researchers used holographic lithography to create the material, recreating the wings’ reflective properties with a “3D cross-linked pattern in a kind of material called photoresist.” Afterwards a solvent is then used, washing away all the photoresist untouched by the laser. This creates a three dimensional structure that is able to affect the light that hits it. The researchers then use a ‘poorer’ solvent to roughen up the surface, resulting in the ‘fuzzy’ water-resistant texture. 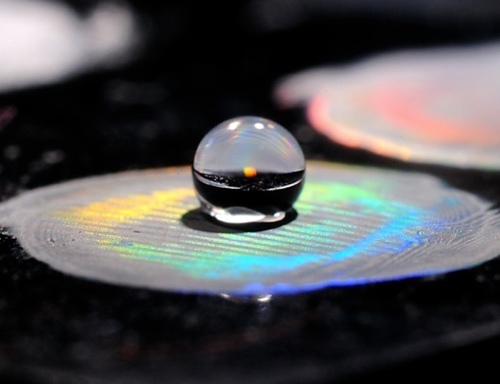 The primary goal of the researchers who worked on this was to create ‘hydrophobic coatings’ that will help to improve solar panels. These coatings will allow solar panels to be more efficient by keeping them cleaner and drier. There are a number of other potential applications though. The lead researcher is currently collaborating with architects to develop a low-cost version of the technology that could be used to cover buildings. The current estimate is that the prototype will be ready in June.